Willow Pastures Country Park is a boutique, independent holiday park with luxury holiday homes for sale, set in tranquil surroundings creating a peaceful escape from everyday life. Willow Pastures Country Park is a family-run, luxury holiday park which opened in early 2018. 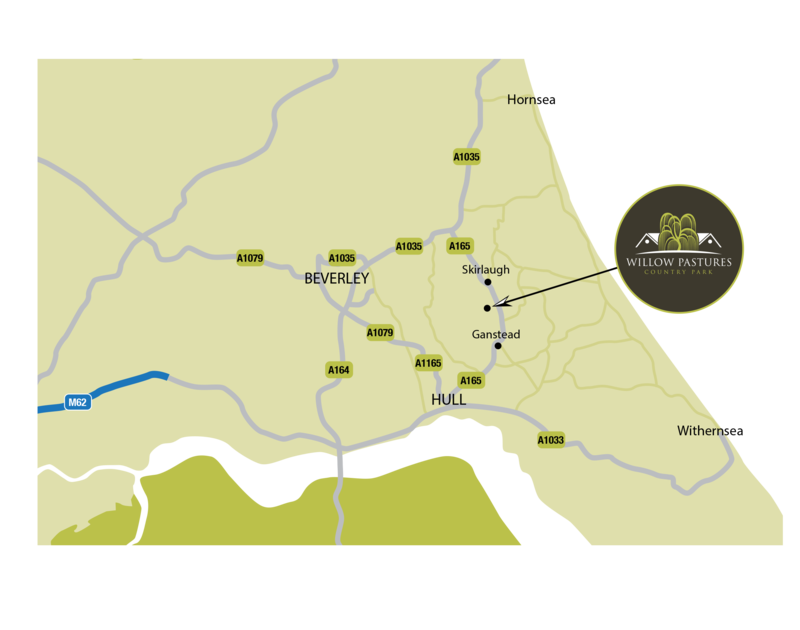 The location is ideal for holidays with a country pub next door and Skirlaugh Garden & Aquatic Centre on site. Plus, the Trans Pennie Way runs alongside the park, connecting us to the East Coast and Hull City Centre. Whilst there are several holiday parks in the area, we feel there is gap in the market for a grown-up, peaceful holiday park which is what we strive to be. We opted not to include a clubhouse on site to promote a tranquil atmosphere and instead, we are lucky to have the family-friendly Gardeners Arms Country Inn next door. Willow Pastures Country Park was developed from a green-field site and works were carried out in-house by Tony Cook Ltd. We chose to develop the entire park, rather than completing in phases, to avoid owners having to stay on a building site or look at temporary fencing. This means our first owners are able to enjoy the peaceful surroundings from day one as well as having the benefit of choosing their plot without constraint. As a family-run park, lot of time and care went into choosing which luxury holiday homes would be used at Willow Pastures. It was important to find a home which complimented the peaceful countryside setting and which fitted with the highly luxurious, first class feel of the site. We feel the Sycamore, the Champagne and the Vendee are all this and more, and it is these holiday homes with hot tubs which truly sets us apart from other holiday parks in the area. As an NHBC certified property, buyers of the Sycamore are safe in the knowledge that they are investing in a quality, appreciating home. NHBC provide a 10 year warranty which covers the build and foundations. The NHBC certification also means these holiday homes are fully mortgageable. 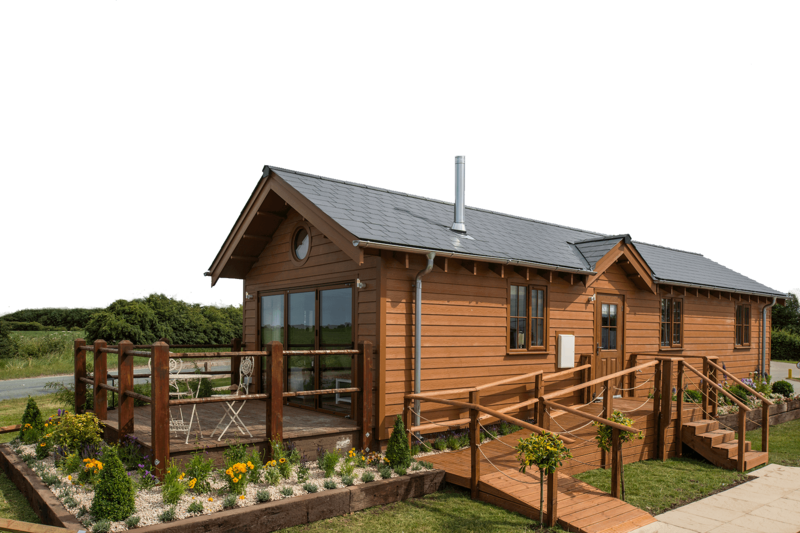 All holiday lodges we have carefully chosen come with a fully equipped kitchen, luxury interiors, a log burner or fireplace and energy efficient insulation, all of which can be customised to suit your style and needs. These spacious holiday lodges are a perfect home from home. Our luxury holiday homes are ideal for buy-to-let investors who are looking for a property which will work hard. With an earning potential of over £32,000 per annum, tax efficiencies and a hassle-free management service. Unlike traditional buy-to-let, owning a holiday home means investors have a property which they can also enjoy with their family. Willow Pastures Country Park is part of the Tony Cook Group which was founded in 1966. Tony Cook Ltd is a family-run business which bases its success upon diversification. The Group incorporates Burstwick ‘One-Stop’ Country Store, Skirlaugh Garden & Aquatic Centre, fencing and landscaping, gate automations, plant hire and septic tanks.